I’ve posted other photos of Saint Matthias Church in my Budapest photo gallery, but I really did like the way this image came out. This building has had a long, somewhat crazy, history. Tradition holds Saint Stephen founded the church as the Church of Mary in 1015 AD, and this original building was destroyed by the Mongolian invasion in 1242. After the invasion, the a new church “Our Lady’s Church” was built between 1250-1270 under the rule of the Hungarian King Béla IV. In 1541 the Church was captured by the Turks and turned into a Mosque for 145 years… then fast forward to the 20th century and the Russians used it as a horse stable and worse. Since then the restoration and renewal has progressed to the beauty of a building today. So … why the long history lesson? Honestly, the building intrigues me like few others, there are elements of western european, Islamic art, formality and odd bits that I can get lost looking at for hours … even forgetting to photograph some bits. The site is 1000 years old, has been through much … and its history hangs heavy on it – even if it has been restored multiple times. Technically, the image was captured on a Nikon d610 with a Tamron 28-300 lens then edited in On1 using HDR filters, and a couple grunge filters to really bring out the detail in the stonework. Saint Matthias Church in Budapest, Hungary at Castle Hill. 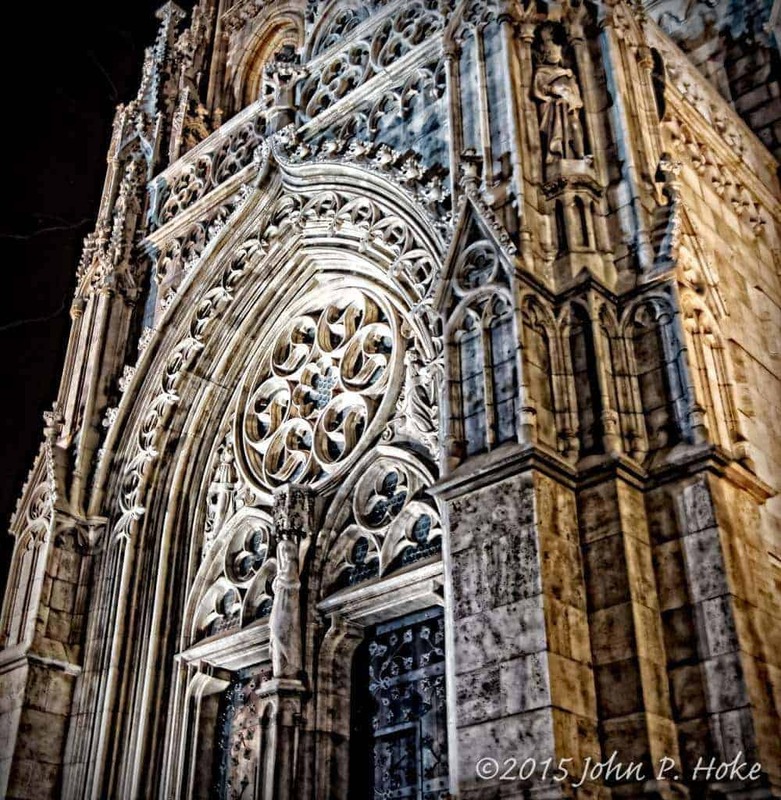 This entry was posted in Photography, Travel and tagged 2015, budapest, churches, d610, europe, hdr, hungary, landmarks, nikon, on1, photography, travel.